← An Effective Cleaning System for Delicate Interior Decorative Ornament. 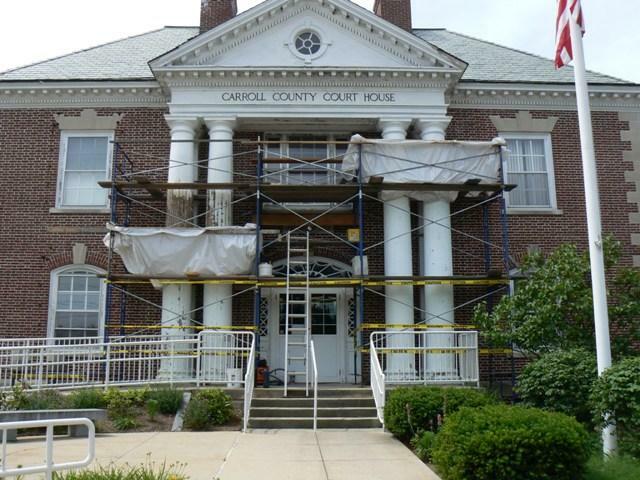 Restoration of four staved columns at the Carroll County Courthouse. Note containment. 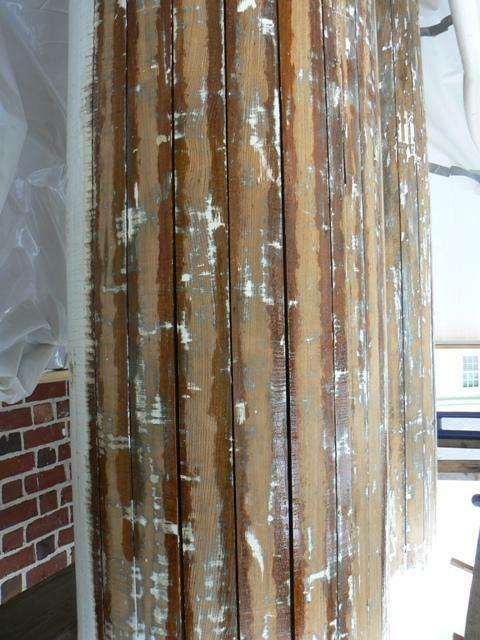 Ironwood Restoration, LLC of Marlow, NH restored and finished the four massive columns on the Carroll County Courthouse in Ossipee. Not every period millwork item is worth restoration, past a certain point, unless it is historically significant. An exception to this are big staved wood columns, simply because there is so much material there. It is almost always worth it to patch in repairs and the staved construction makes it feasible to do so. That’s feasible, not easy, as the images show. 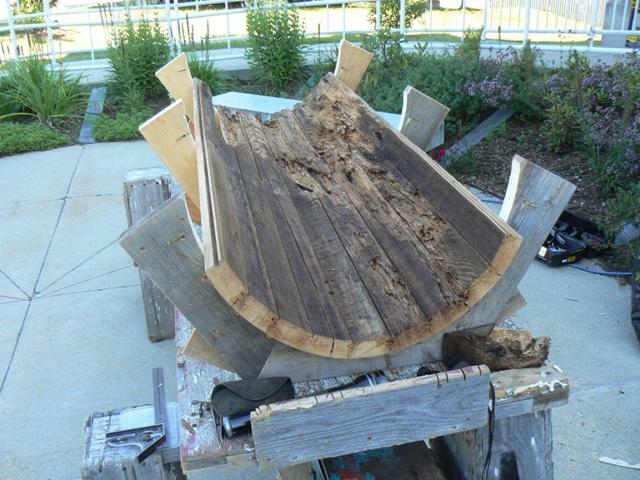 The work requires specific millwork reproduction and restoration skills. Usually, the damage is to the plinths, at the base, and to the lower end of the shaft staves, especially in a damp and northern climate, such as New Hampshire. Where splashback and snow accumulation occur, these conditions should be anticipated, as the project demonstrates. After full prep, note staved construction. Removed section showing damage to interior of staved column. This entry was posted in Architectural Conservation, Millwork and tagged Columns, New Hampshire. Bookmark the permalink.